We had several inches of snow on Wednesday and yesterday was calm and cold. We had 3 boats on the water. Another round of snow last night to whiten things up a bit. Fishing is really good. 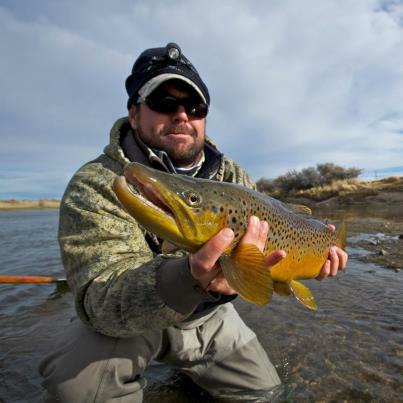 Browns of large size have been eating streamers regularly. Goldie Locks and black peacock bugger trailer have been getting lots of attention. Nymphing is fantastic as usual and the baetis are moving around nicely. Still some good dry activity and the boys were hooking a few rising to midges the other day. Both Miracle Mile and Fremont are also fishing really well. Looks like the weekend will be a touch breezy and we will be back up to 60* by Tuesday!